First off I spoke to Conrad from Conair Sports who was exhibiting the new Rotax 912iS, fuel injected engine. Conair are the only UK Rotax Approved Service Centre according to their web site. I’d heard a fair bit about this new Rotax and I think it’s fair to say that it’s a welcome leap forward in light aircraft engine technology. Running on mogas or avgas, the engine is predicted to return an approximate 20% reduction in fuel consumption, which is most welcome with the sky-rocketing price of aviation fuel. Conrad says that first indications are that they can run this new engine on just 8 litres an hour. And with automatically controlled mixture the engine should run much more economically at higher altitudes too. An electronic display inside the aircraft will be a requirement with the new engine but their will be no requirement for a choke and starting will be more straightforward. Conversions from old Rotax engines to the new 912iS are possible, says Conrad, but the aircraft will need an all new fuel system and instrumentation. The 912iS will have the same power output of the old 912S/ULS – 100hp. Right next door to Conair was Conrad’s father Nigel on the Cosmik Aviation stand. 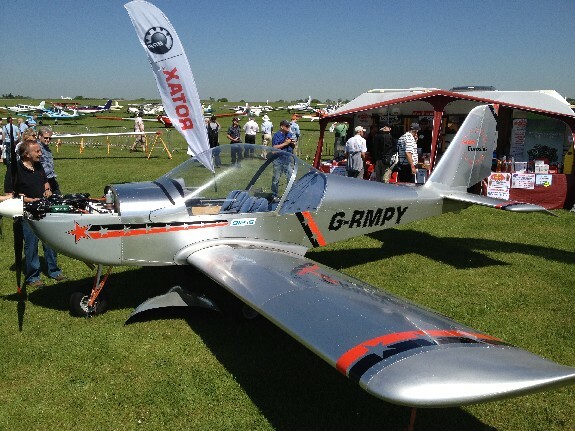 Cosmik were displaying the ever popular Evektor Eurostar microlight and the Sportstar VLA. Cosmik have been involved with the Eurostar for 11 or 12 years, according to Nigel, originally as a kit and since 2003 as a factory built option. The Eurostar can be found at many microlight schools around the UK and, as I found out recently, has great performance from a grass strip. 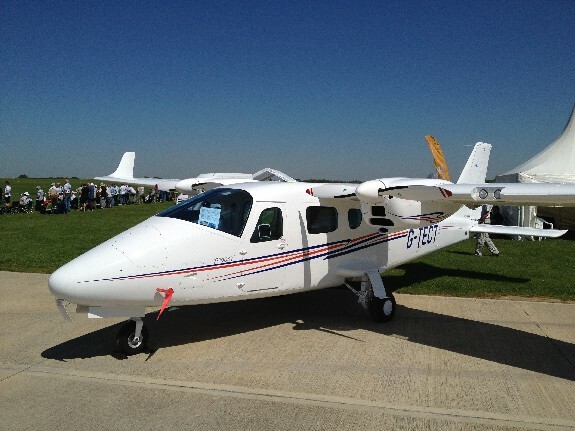 Nigel claims that due to its light weight construction the aircraft can out-perform the standard Cessna flying school aircraft. He has even taken part in competitions whereby the pilot has to take off and land inside a 100m box – fully laden! The Eurostar has a mainly aluminium semi-monocoque construction and is left unpainted to enable it to fit within the UK’s 450kg microlight weight limit. Also on the Cosmik Aviation stand was the Sportstar SW. Fitting into the 575kg VLA bracket it looks similar to the Eurostar but is wider, can be painted and is capable of carrying more load. The aircraft will be available as a kit, subject to LAA approval, or a factory built EASA ‘permit to fly’ aircraft. Inside one of the exhibition halls I found my old friend Rob from Sky Demon. Having done a podcast with Rob some time back I just wanted to know what’s new with their great flight planning and nav software. At the show the Sky Demon team were demonstrating a prototype plate delivery system, delivering AIP plates within the Sky Demon system. Rob says that they are talking to AFE about the possibility of getting their flying guides into Sky Demon as well. Whilst on the stand I had a quick look at the iPad version of the software and it is really well worth a look. 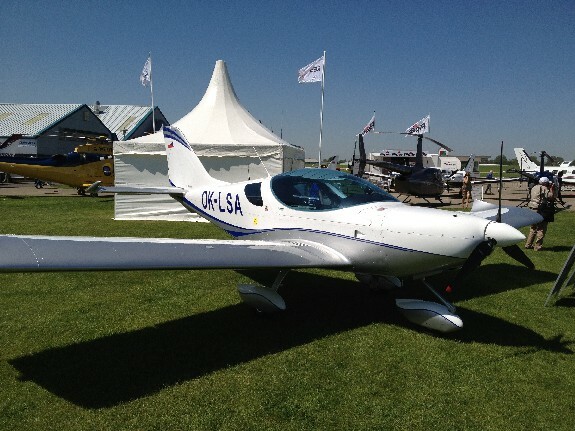 Vojtech Tuma and Oscar Starinsky – Czech Sport Aircraft The new PS28 Cruiser aircraft from Czech Sport Aircraft has just obtained its EASA LSA certification. Vojtech claims that the plane is the only one in the world with this new certification and it is ideal for initial and continuing PPL flight training with a cost saving of 50% over a C152 and 66% over a 172. An impressive claim. The PS28 is very similar in appearance to the old Sport Cruiser but has over 60 design changes. Tim Orchard – Tecnam UK Tim is the MD of Tecnam UK and today, as distributor for Tecnam’s range of factory built aircraft in the UK, he was exhibiting a couple of Tecnam planes – the single 2002 and the twin engined 2006. Both aircraft are fully certified in the UK and so can be used for flight training and as both have Rotax engines they are very economical to operate. I was particularly interested in the 2006 which is the only twin engined Rotax aeroplane in the world apparently. Tim describes how Professor Pasquale still goes into the Tecnam factory every day and designs a new aircraft every year. 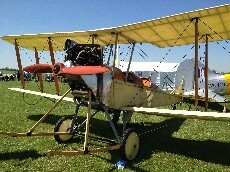 The factory then actually produces one of these aircraft every other year and the model number of the aeroplane indicates the year of its inception. So the 2006 first hit the drawing board in that year. Paul Ford – Jasta Binks Aviation Whilst admiring a couple replica WW1 aircraft I came across Paul Ford soaking up some sunshine next to his DR1 Fokker Triplane – ‘The Red Baron’. 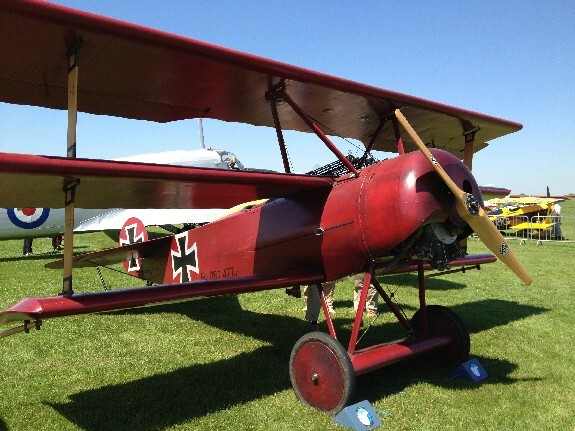 Fokker Triplane, G-FOKK, is a full scale replica of the famous German WW1 fighter aircraft, the Fokker Dr1 Dreidecker and very impressive it is too. Not in the bright red we’ve come to associate with the Red Baron but a deliberately subdued and battle-worn blood red. Freddie Rogers – Beaver UK / American Legend Aircraft Beaver UK have been awarded the rights to distribute the American Legend Cub in the UK and Europe. 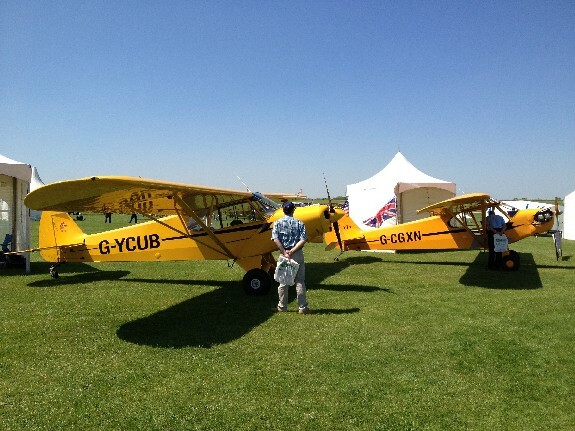 The gorgeous retake of the famous Piper Cub is all but approved as a kit by the LAA and should be available soon. Freddie claims that the kit, built in Texas, will be attractively priced in the UK. This entry was posted in All Podcast Episodes, Equipment, Exhibitions, Flying Professionals, Manufacturing and tagged AeroExpo, Beaver UK, Conair Sports, Cosmik Aviation, Czech Sport, General Aviation, Jasta Binks, Podcast, Sywell, Tecnam by admin. Bookmark the permalink. Another great episode Steve. Keep up the good work.